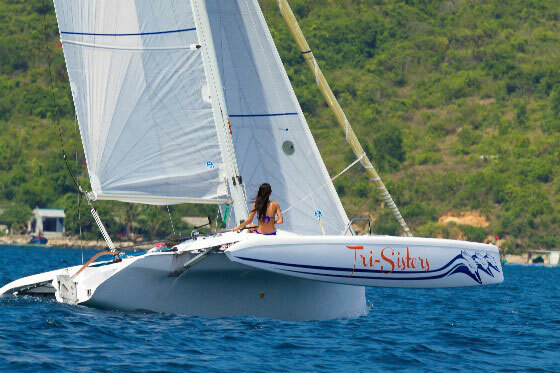 A fast trimaran brings out the daysailor in all of us. A successful evolution of the Corsair 24, the new Corsair Sprint 750 Mark II is a fast, versatile, trailerable trimaran built for a perfect day of sailing. 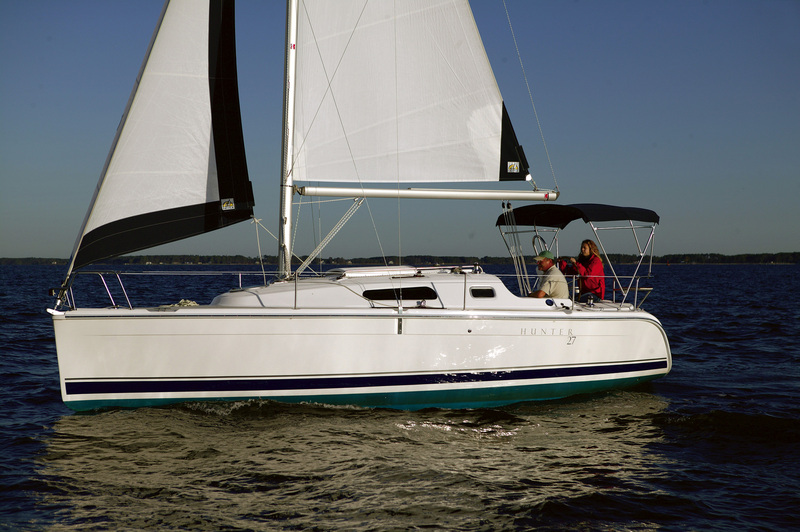 The Sprint shares the same hull design as its cousin, the Dash 750, with the same large buoyant floats, beams, and folding system. But where the Dash has more of a cruising interior, the Sprint is dedicated to sailing with emphasis on the cockpit—and lightning-fast speeds. The Corsair Sprint 750 Mark II can hit 20 knots on the open water—and goes even faster on a trailer, thanks to the foldable design. The first thing you’ll notice about the Corsair Sprint is the cockpit acreage, which is designed to accommodate a racing crew. The cabin is pretty spartan, with little more than a berth forward where the crew will undoubtedly toss their gear. There’s also a separate area designed for a portable MSD, and a four-switch panel for interior and running lights. The whole space is finished with a beige carpet liner. 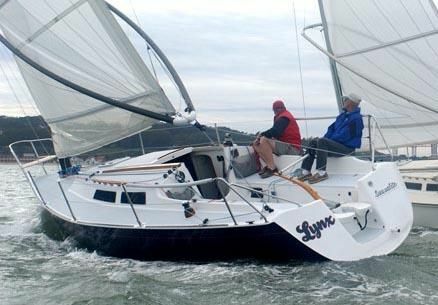 The Sprint’s cockpit is what eats up the rest of the length, so the boat was optimized to sail. 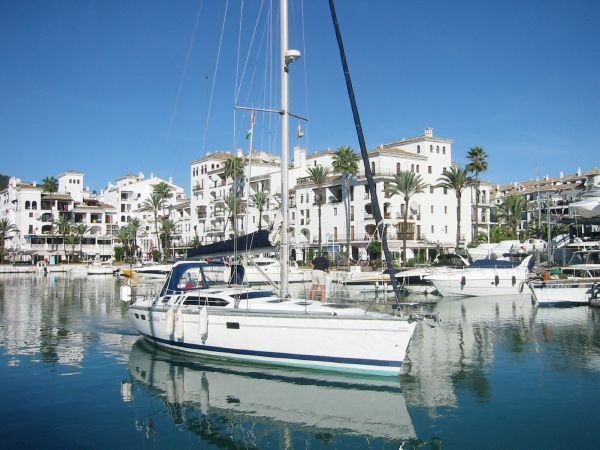 And by definition, it really is the ideal daysailer. Grey wing nets and optional bow nets connect to the large volume amas and complete the spacious deck. With the alloy daggerboard down, the Sprint draws nearly five and a half feet; it can also venture into skinny water as shallow as one foot with the board up. A mahogany and ash tiller commands the dagger-type rudder, which makes the Sprint very maneuverable and responsive. Two Harken 16 primary winches and four clutches mange the sheets and halyards, and there’s a retractable aluminum bowsprit ahead of the anchor well hatch. 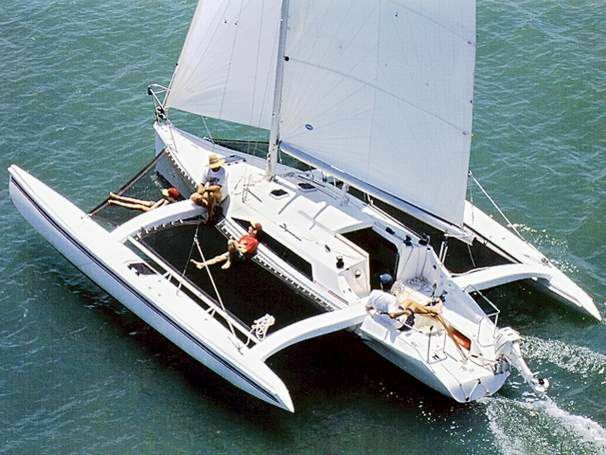 The rotating aluminum wing mast is supported by synthetic shrouds and a stainless steel forestay. 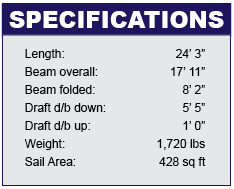 It carries a 262 square foot mainsail with a 6:1 mainsheet system. Add a screecher or spinnaker into the mix, and you’ll fly downwind. 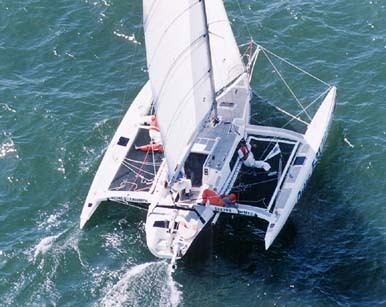 In fact, the Corsair Sprint sails at a crazy 20 knots in the right conditions. It can also move at 60 mph – down the freeway on its trailer. 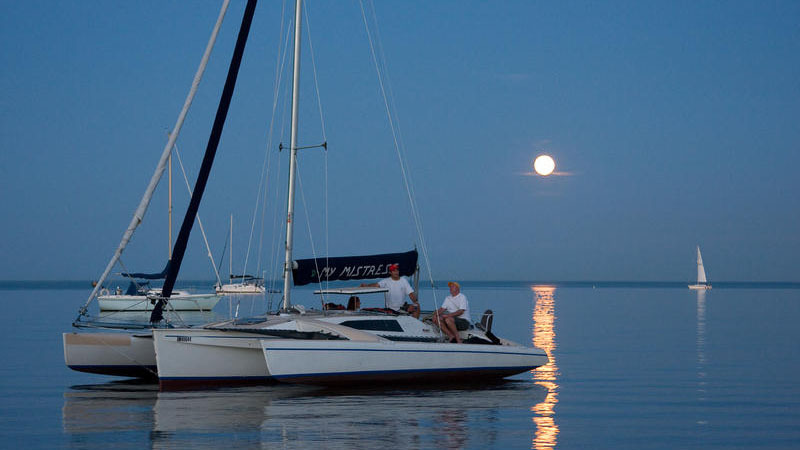 The Sprint’s folding capabilities mean you can go from dock to trailer in minutes and you can tow it without a permit, which opens up a whole world of cruising and one-design or PHRF racing opportunities. The folding design also makes for a compact size which is easy and affordable to store. 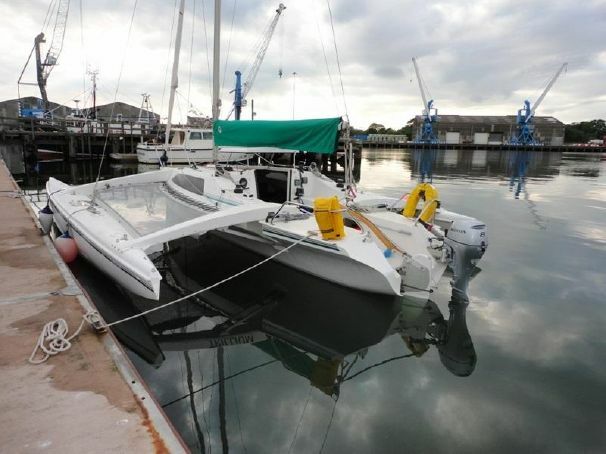 The base price is $52,000 (ex-factory in Vietnam) but expect to pay closer to $75,000 with trailer, sails, sailing hardware, outboard and US delivery. For more information, visit Corsair Marine.